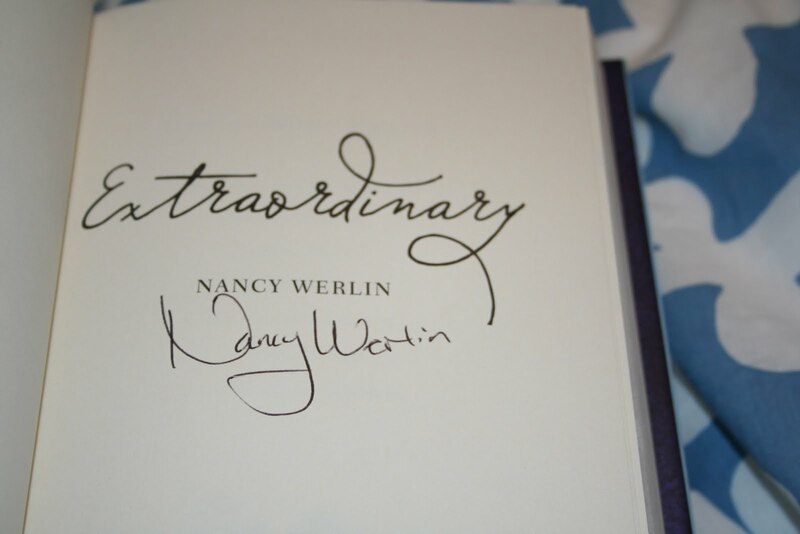 I decided I should probably try to finish my posts about Decatur Book Festival and the authors I saw there since I will be spending THIS WEEKEND in Washington, DC at the National Book Festival! Can you tell I'm a little bit excited? Bestie and I will be leaving Chattanooga early on Friday and driving all night to make it to Suzanne Collins' signing (stamping?). So you can expect all kinds of fun posts about that next week. We ended our first day at DBF with a panel discussion by Rachel Hawkins and Nancy Werlin. Unfortunately, I had the same problems I had with the Zombies Vs. Vampires panel (couldn't see or hear) which were compounded by the fact that I was late (sorry Rachel and Nancy) and the fact that my sad little energy-deprived body was just barely hanging on at that point. I can't really tell you much about about the panel other than that I sat by a little old man who looked remarkably like Johnny Wink, my favorite professor from Ouachita. Again, my apologies to Rachel and Nancy - I'm sure the panel was hilarious and fascinating and my friends who were there tell me it was amazing. I was the obnoxious girl who came in late. I've already bought a million signed copies of Hex Hall and given them to everyone I know, so I didn't pick any of those up, but I certainly recommend it. It's such a fun read. 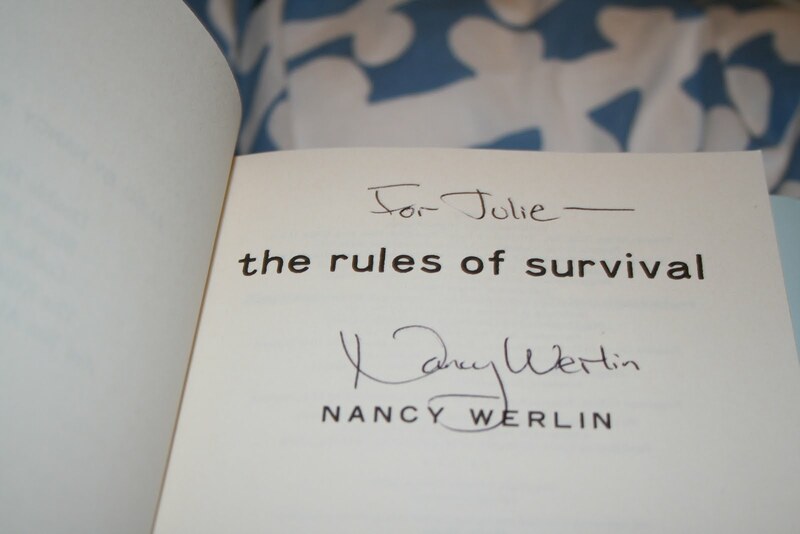 As sad as I was not to have anything for Rachel to sign, I did manage to get my copy of The Rules of Survival signed by Nancy Werlin. 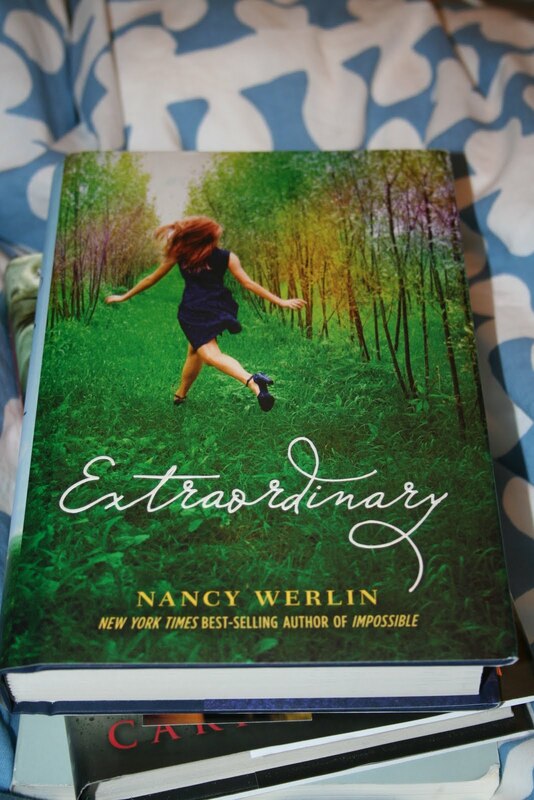 The next day I also picked up a signed copy of Extraordinary because I just couldn't control myself. Crystal and Leah and Anna are pretty much BFF with Rachel, so I got to chat with Nancy for a minute, while they spoke with Rachel. Then we all took a group picture, which I'm refusing to post because my eyes are closed and I look hot and sweaty. But enjoy the pictures of my signed books! And look for reviews soon! That was three weeks ago. Chief's back now hits me at my waist. He is going to be a monster. He's two weeks younger than Dexter, almost as tall, and weighs just as much. How cute your babies are. 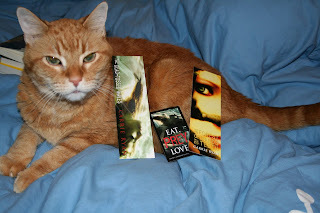 Awww Sly looks so regal with his bookmarks. And Chief's legs! So long! Thank you! I'm trying really hard not to become a mommy blogger with the pets. But they are so cute that I lose control at times. More dog pictures please! Dogs are so cute and yours are just adorable! 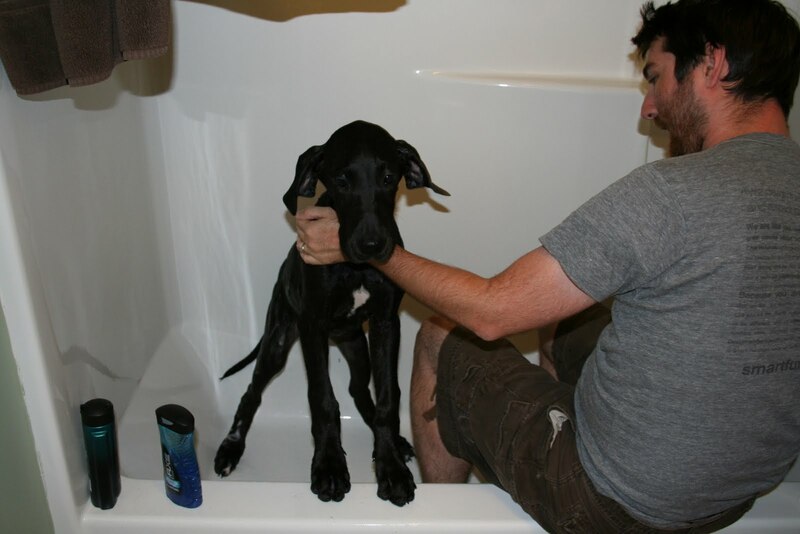 Look how cute he is wet. Um...I don't mind the mommy blogging with pets. I actually started a separate blog for my dogs because they are monsters and do lots of hysterical things (which often are not very hysterical at the time they do them).